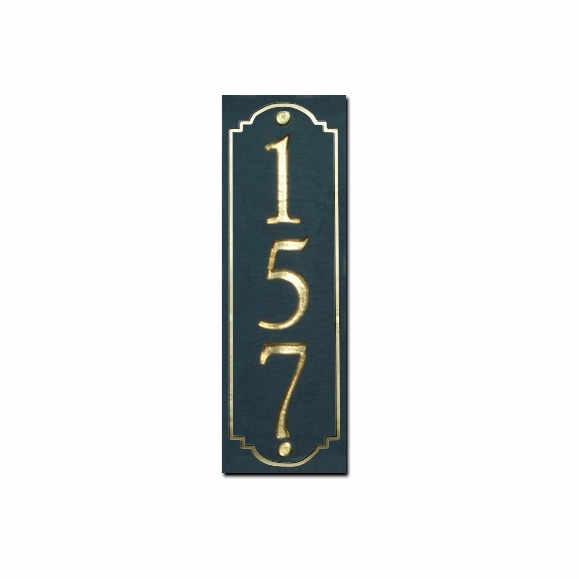 Personalized Vertical Slate House Number Sign - - holds three numbers. Vertical sign fits into tall, tight spots. Made in USA. Slate plaque measures 4" x 12" and contains just a short house number (up to three digits) and a simple decorative border. Is a beautiful slate address sign for my porch, had a lot of compliments on it. Black with gold numbers. Had a lot of compliments on it and know it will last for years. Thank you for a quality sign Comfort House! !